Decades later, Arnold Schwarzenegger’s “advices” about bodybuilding still inspire introspection (or at least an occasional quotation): Is milk just for babies and should real bodybuilders drink beer? Firstly, from a muscle building standpoint, it’s pretty clear that milk is not “just for babies,” as milk proteins are highly anabolic (4-6, 8, 10, 16). On the other hand, alcohol (ethanol) is a common fixture in Western society and intimately related to sports and athletic participation(20). From the casual observers perspective, getting “a buzz on” just seems to be what “real men” do in a sporting context. In terms of gaining muscle mass, though, alcohol is hardly an anabolic aid. Ethanol is pathological to both skeletal and heart muscle(11, 17), in part because it shuts down protein synthesis at its roots(12). Unfortunately, this also applies to the desirable increase in protein synthesis brought on workout itself. Even consuming protein alongside the alcohol doesn’t make up for alcohol’s anti-anabolic effect if consumed alongside a workout(15). 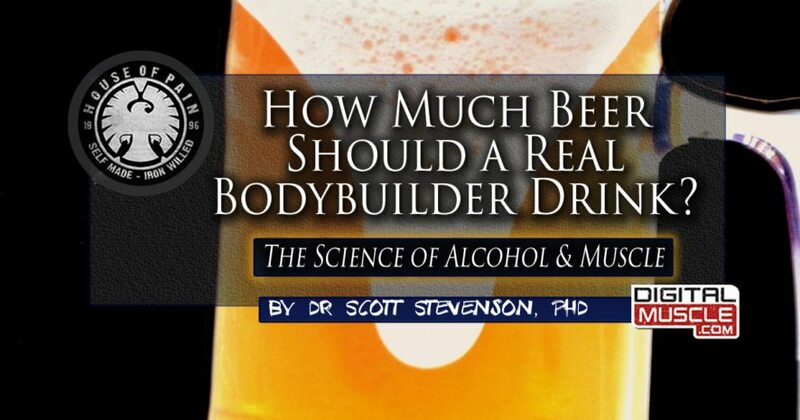 But how bad is it?… Can you get away with just a few drinks and still make muscular gains? Well, first of all and at the risk of stating the obvious, as far as alcohol as an ergogenic aid, being heavily intoxicated is unlikely to improve gym performance due to alcohol’s impact on a number of physiological systems(18). Yes, ethanol in very small amounts can perhaps release neural inhibition and increase muscle strength(7), but this kind of neuro/psychyological effect on muscle activation can also be had simply by having the right set of expectations when you enter the gym(1, 9, 13, 19). 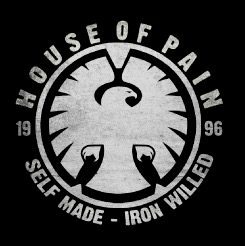 In terms of recovery and the muscle growth process, the old saying that “the devil is in the dose” applies here. The well-established dose-dependency of the adverse effects of alcohol on metabolism in general(18) would suggest the obvious: The more alcohol consumed, the greater the (negative) effect on muscle growth. Indeed, it seems that consuming a low dose of alcohol after a muscle damaging exercise bout [0.5g / kg or 50g of alcohol for a 220lb bodybuilder – about 3 drinks(14)] did not affect recovery (strength loss) in one recent study(2). However, doubling this amount (to roughly a 6 pack of beer) does actually exacerbate the strength impairment brought on by a brutal training session(3). The above being said, it is entirely possible that the lifestyle benefits of light recreational drinking may foster better progress in the gym (e.g., via stress relief). However, it’s a fair bet that heavy and/or frequent alcohol consumption is not the wisest choice for the bodybuilder seeking to maximize his muscular potential. Editor’s Note: Dr. Stevenson is one of the most respected minds in the business of extreme performance. Be sure to check back soon here at DigitalMuscle.com for more of his articles. We also invite to you check out his website for more on his teachings. Ariel G, and Saville W. Anabolic steroids; The physiological effects of placebos. Med Sci Sports 4: 124-126, 1972. Barnes MJ, Mundel T, and Stannard SR. A low dose of alcohol does not impact skeletal muscle performance after exercise-induced muscle damage. Eur J Appl Physiol 111: 725-729, 2011. Ikai M, and Steinhaus AH. Some factors modifying the expression of human strength. J Appl Physiol 16: 157-163, 1961. Korhonen H. Milk-derived bioactive peptides: From science to applications. Journal of Functional Foods 1: 177-187, 2009. Lang CH, Wu D, Frost RA, Jefferson LS, Kimball SR, and Vary TC. Inhibition of muscle protein synthesis by alcohol is associated with modulation of eIF2B and eIF4E. Am J Physiol 277: E268-276, 1999. National Institute of Alcohol Abuse and Alcoholism. Cocktail content calculator National Institutes of Health. http://rethinkingdrinking.niaaa.nih.gov/tools/Calculators/cocktail-calculator.aspx. [7/25/16]. Vella LD, and Cameron-Smith D. Alcohol, athletic performance and recovery. Nutrients 2: 781-789, 2010. Zhou J, Heim D, and Levy A. Sports Participation and Alcohol Use: Associations With Sports-Related Identities and Well-Being. Journal of studies on alcohol and drugs 77: 170-179, 2016.